Here are answers to some of the most frequently asked questions we get about our property check services. All Cape Security Patrol’s security patrol service is not a police, fire, or emergency medical service. 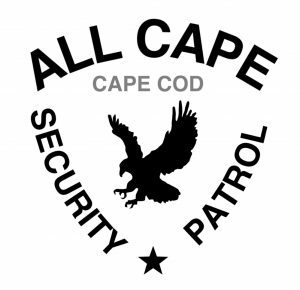 The services provided by All Cape Security Patrol are not designed to be a replacement for police, fire, or emergency medical services. If there is an emergency or a crime in progress call 911 immediately to notify the proper emergency services. What is your Property Check service all about? All Cape Patrol’s Property Checks are full EXTERIOR ONLY security and property condition inspections. This includes the property access, the grounds and the exteriors of all buildings on the property. Order property checks whenever you want and we will check on your property. No long term contract. For regularly scheduled short, or long term contract services, see our security patrol, home watch and key holding caretaker services. What kind of property will your security patrols check? All Cape Security Patrol’s patrol units will check on any type of private property if authorized by the property owner. In addition to cottages, houses and estates, we can check on commercial properties, boats, RVs, heavy equipment, construction sites and more. Just let us know what you need checked. Who can benefit from using All Cape Security Patrol’s Property Check services? This service is ideal for Cape Cod property owners that don’t need, or want to to signup for regularly scheduled contract patrol or home watch services, but still want to get their property checked periodically at their discretion. Our Property Check Patrol service is ideal for absentee owners of winterized cottages and houses that are vacant during the off season and want the exterior of the property to be checked for break ins, vandalism, animal intrusion and storm damage issues. Property Check services can also be used by owners of other expensive property like boats, heavy equipment, RVs, etc. What is the difference between a Standard Property Check and a Priority Response Property Check? Standard Property Checks are completed within 24 hours of ordering. Priority Response Property Checks are performed and reported as soon as possible for those times when you need an immediate or emergency response. In what Cape Cod towns is the property check and priority security patrol service available? All Cape Security Patrol is based in South Dennis. We will check properties anywhere on Cape Cod, including the towns of Barnstable, Hyannis, Brewster, Bourne, Chatham, Dennis, Eastham, Falmouth, Harwich, Mashpee, Orleans, Provincetown, Sandwich, Truro, Wellfleet and Yarmouth. Please call (774) 383-2030 for immediate service. When should I use the security patrol property check service? Patrol checks can be used for assessments of potential problems, after reported issues in the area, to check for storm damage and environmental problems, or for verification of completion/progress for services contracted with third-parties. Any time you are away from the Cape and want your relatives, friends, children or property checked on. And for all other times that you are feeling nervous and you just want someone to go to your house and make sure your property is secure. Have us check on your vacant property prior to your arrival if you’ve been away for a while. The last thing you want is to arrive to your property after a long drive and find that it is damaged or was broken into at some point while you were gone. What happens when I order a Priority Patrol Check? What happens when the patrol unit gets to my property? Unless there are specific patrol orders issued by the person ordering the patrol check, the patrol agent will initially conduct a foot patrol of the external perimeter of your property before checking all points of entry to your house and ensuring that all doors and windows are secure. The patrol agent will then attempt to inspect the interior of the premises from the outside where reasonably possible. If this is an occupied property and the patrol orders are to check on the welfare of persons on the property, the patrol agent will start by identifying himself at the door and requesting visual proof of personal safety and welfare of those on the property. Then he will proceed to conduct a foot patrol of the property. We sometimes get requests for “surveillance only” property checks, where the property owner requests that we observe and report on activities at the property only and do not perform a foot patrol or go on the property at all. This could be to check on activity at a rental property, like how many people are staying there, or to check up on teenagers left at home while their parents are away. In the case of other types of property (equipment, boat, RV, etc. ), the patrol unit will conduct an exterior inspection of the type of property specified in the patrol orders per the property owner’s request. What if I request a wellness check as part of the patrol and no one answers the door when the patrol unit arrives? One of the primary tasks of the patrol officer during a wellness patrol check is to visually check the current welfare of persons on the property. Failing to answer or open the door may result in the patrol officer escalating the wellness check to assume that the occupants may be in danger. If this is the case, you will be contacted immediately and the police will be called to the scene if necessary. Will the patrol agent enter my house? No. As a standard property check patrol policy, the patrol officer is unable to enter your premises. 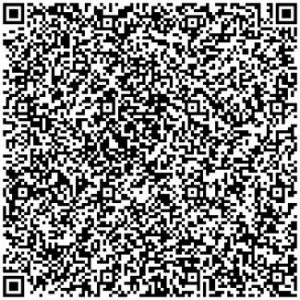 The exceptions to this are if you are one of our home watch, alarm response, or key holding clients, or if the patrol orders issued by the owner of the property specifically request an interior inspection and if the means of entry and the reason for such entry is agreed upon by the patrol supervisor in charge of the patrol shift. For example, the property owner may request that we gain entry to the house by using a key that is hidden outside. The responding patrol agent will thoroughly check the external perimeter of your property before conducting a check on all points of entry of buildings on the property to ensure all doors and windows are secure. The patrol agent will then attempt to inspect the interior of the premises from the outside where reasonably possible and then create a detailed report that will be emailed to you immediately from the property. The designated time for the patrol and reporting will be up to thirty minutes on property. Any time over this allocated patrol time period will require additional charges as described in the terms of service agreed to prior to ordering a property check. If there is an issue at the property, the patrol unit will attempt to contact the property owner, or an authorized representative to approve of additional time on scene. If no one can be reached, the patrol unit will take whatever action deemed necessary while keeping in mind the best interests of the property owner. What does the property check patrol report look like? Property patrol reports include details of the current property status, incident reporting, GPS location and digital images of the exterior of the property along with detailed images of any potential issues or problems that may be discovered delivered via email in real time right from the property. Click here to view a sample report (PDF). Can an authorized representative, relative or friend use the property check service? If you have an authorized person who is looking after, or staying at your house, or have a representative that can authorize the patrol activity on the property, then they can use the service at their discretion.